2018 was a tumultuous year for politics, ending with a government shutdown that lasted 35 days. 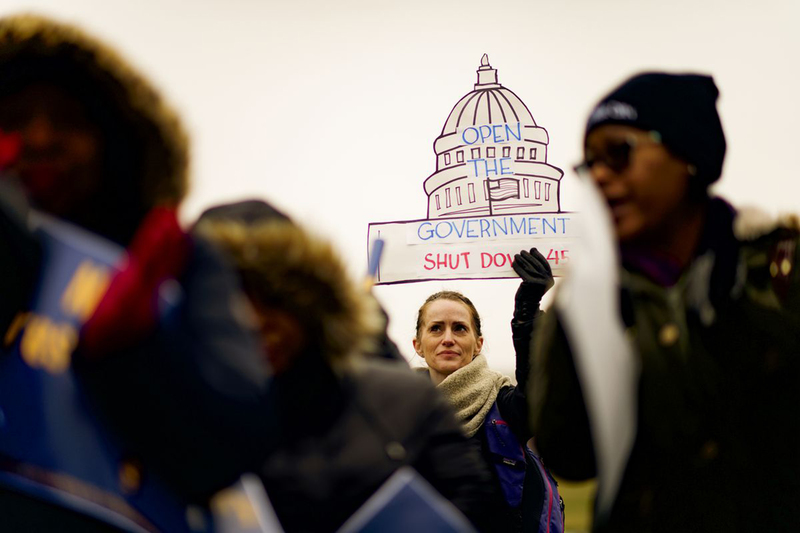 Federal employees rang in the new year by working without pay until the government reopened on Jan. 25 2019. Although that’s great news, it’s only open temporarily until Congress makes a decision about the border wall that President Trump wants built. This leaves people with many questions about how Congress and President Trump are going to move forward. The FDA stopped routine drug inspections and halted approval applications for new drugs. FBI work was pushed back. Public Health research that could largely impact our future was pushed back. Airports lacked enough staff as TSA agents called out sick because they were not being paid. The EPA ran out of funds to pay employees and sent 95 percent of them home until the government reopened. The Nation Park Services lost over $400,000 a day in fees and suspended trash pickups and road maintenance procedures. This resulted in vandalism of Joshua Tree State Park in Southern California. Over 42,000 immigration court hearings were cancelled. Some federal workers lost benefits in their health insurance unless they paid their premiums in full (while not receiving paychecks). This is just a short list of the major effects this shutdown had on employees, their families, local farmers, researchers, and public health officials. Now that the government is open, what’s next? As of Friday, Feb. 15, President Trump has declared a national emergency to fund the border wall. This use of executive power is allotting Trump $8 billion for wall construction, which includes the $1.375 billion that was passed by Congress on Feb 14. Thankfully, disaster relief funding will not be used for the border wall, which was a fear amongst members of Congress. President Trump considers this a victory as he finally is able to start construction of his border wall, but are the immigration issues really issues we need to be worried about? According to NPR.org, illegal border crossings were lower in 2018 than in 2014 and 2016. Illegal immigration isn’t just a hop across the border, it’s overstaying visas that were granted based upon their purpose of being in the United States, about two thirds of illegal immigrants to be exact. Immigration is a tough area of politics to navigate, especially because there are so many terms and unknown information about immigration. It’s important to stay informed and do your own research if you don’t understand a concept, as well as fact check the information being given to you, because politics are becoming more and more divisive, which makes it incredibly difficult to solve any ongoing issue in the United States.